So you want to get your child a talent agent, but don’t know where to begin. One of the most recurring questions I get as a talent agent for children is how to make the seemingly daunting leap from acting as a hobby to acting as a professional. Oftentimes, a parent knows what to do when their child expresses a desire to try something new – sign them up for soccer, ballet, gymnastics. When it comes to a kid wanting to be on television, though, helping them fulfill this dream can be a challenge. In the entertainment business, getting an agent or manager to represent an actor is key. Agents get the casting “breakdowns”, submit talent to casting directors, and bring forth auditions. In the commercials industry, especially for children, success is based mostly on personality and physical appearance. I am looking for children who are extremely outgoing, fearless, extroverts-- friendly young people who won't hesitate to answer anyone's questions or tell a joke in a casting session. I'm looking for kids who are interesting, quirky, and confident with a great look. Some of the most interesting children we meet aren’t necessarily the ones you’d stop on the street to comment on how beautiful they are – but those who come in and charm us. These standouts are who we want to represent. The good news: we don’t necessarily sign only young actors with a long resume of credits. We will take a chance on someone who has not done a professional gig yet. If we see something special, we know. I love discovering children who want their big break, and I want to share five tips for parents to get their child in front of a talent agent. 1. 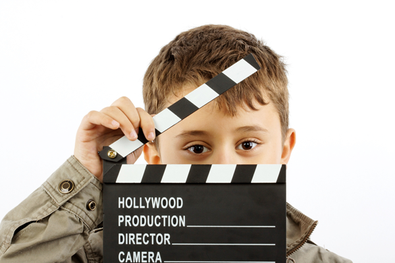 If your child shows interest in acting, sign them up for a class. This is the first step to see if they really want to do this, or if the desire will fade once things become more structured. There are many resources online as to which acting classes in NY have a good reputation. Backstage.com’s message boards are terrific! 2. Get a copy of Backstage's Call Sheet, which you can find at a local bookstore, or become a member of Backstage here. This great resource lists all the talent agencies in New York and Los Angeles, along with each department within the company. Target those with a youth department and do research online for an email address. Send a short email to an agent along with a digital picture or two of your child. I can’t speak for other agents, but I read every single one of my emails. You just may get a response. 3. A professional headshot is an actor’s calling card. If your child is 10 or older, he or she needs one. This shows me that the child/parent is serious, and willing to invest in their professional career. Headshots don’t have to cost a fortune, and if a child is on the younger side, good digital pictures are fine. Make sure the photos are clear and UPDATED! Nothing is worse than an agent meeting a child who looks nothing like their picture. 4. Talk to everyone you know. We do meet a lot of kids through referrals, and someone you know might be involved in the business or know someone who is. Just like looking for a job, finding an agent is about networking! 5. If one agency turns you down or you don’t hear back, don’t give up. As agents, our tastes vary. It’s all about persistence.